After presenting one of the most acclaimed new models for 2014 with the 630 Motor Yacht launched the past Summer, Lagoon is quick to present a smaller sister in its recently updated engine powered line. 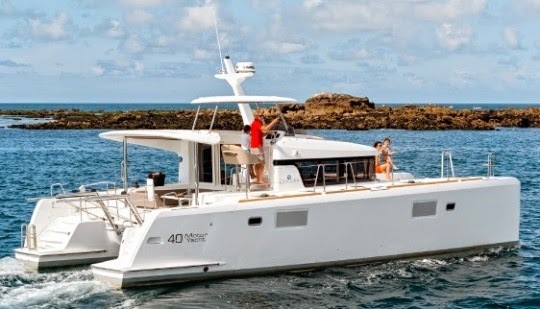 But even for a catamaran of this size the new Nauta designed Lagoon 40 Motor Yacht definitely impresses below; four double cabins with four shower heads is surely unheard in a boat measuring under twelve meters even if the beam is more then double. Another interesting detail of the 40 Motor Yacht will also be its small engines, with twin 75hp being the standard power. That is surely small engines, which equals less fuel and service costs.